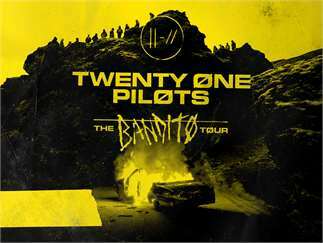 Twenty One Pilots, the GRAMMY® Award-winning duo of Tyler Joseph and Josh Dun, have announced a second leg of the “Bandito Tour” due to overwhelming demand, following this fall’s sold-out first leg. The release of their massively anticipated new album TRENCH arrives worldwide Friday, October 5thTwenty One Pilots received a number of major awards and nominations over recent years, with “Stressed Out” earning them the 2017 GRAMMY® Award for “Best Pop Duo/Group Performance” alongside four additional nods. 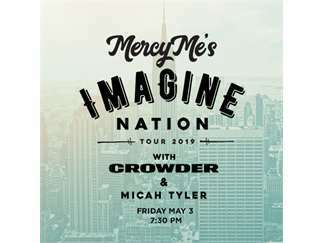 Other honors include seven total Billboard Music Awards including 2016’s “Top Rock Artist” and “Top Rock Album” (for BLURRYFACE) and 2017’s “Chart Achievement Award,” “Top Duo/Group,” “Top Radio Songs Artist,” “Top Rock Artist,” and “Top Rock Song” (for “Heathens”); multiple Alternative Press Music Awards including “Album of the Year Presented By Journeys” (for BLURRYFACE), “Artist of the Year Presented By Monster Energy,” and “Most Dedicated Fans”; 2016 American Music Awards for “Favorite Alternative Artist” and “Favorite Pop/Rock/Band/Duo/Group”; six iHeart Radio Music Awards (including “Alternative Rock Song of the Year” in both 2016 and 2017); 2016’s Kerrang! Award for “Best Fanbase,” and two MTV Europe Music Awards.